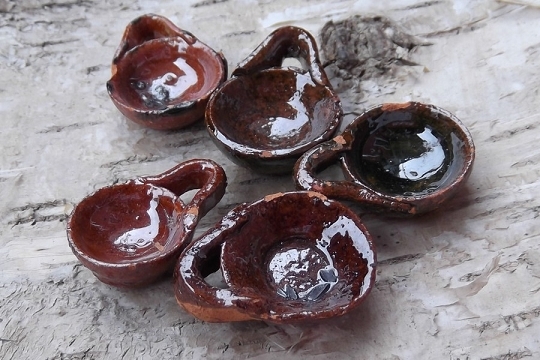 These little handmade pots, bowls and jugs are a traditional Mexican craft. They are used for doll houses as well as for ofrendas or tables in celebration of Los Dias de los Muertos. They measure about 1/2 to 3/4 inches in diameter and another little bit for the handle. You might also choose to use these as little charms for a necklace or assemblage. These are shallow bowls or dishes. They are all hand-formed, so each is a bit different than the next. 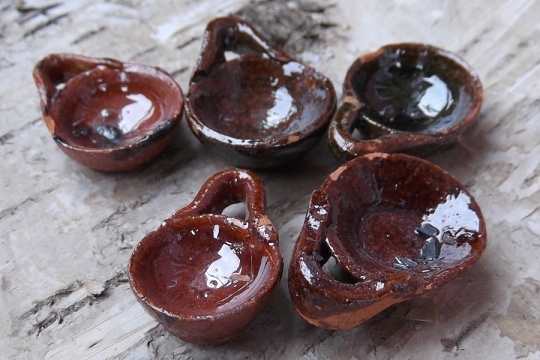 There is a primitive glaze applied for the firing which makes these absolutely stunning in their simplicity and old-world look. 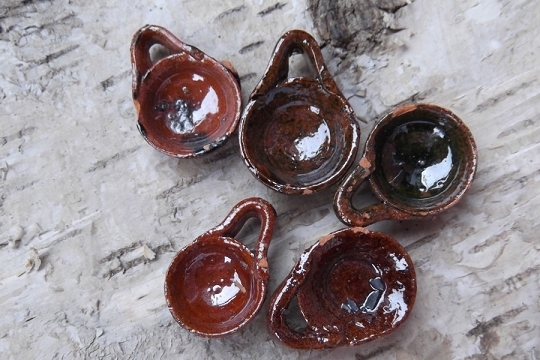 Frida Kahlo and Diego Rivera created designs made of these mini pots on their kitchen walls. They were collectors of most, if not all, traditional Mexican crafts. Several pots are shown for illustration of the variations. We receive a large batch of these. No two are the same, so please let us choose one for you.